Anyone who has ever been to a Frank Zappa concert knows what an unusual experience it was. One could go to two shows on the same tour (on the same night sometimes) and see two completely different shows. The spontaneous nature of Zappa and his band was a treat. Which is why any concert release from the Zappa Family Trust is a reason to celebrate. The difference on this release is the addition of vocalist/keyboardist Bianca Odin, also known as Bianca Thornton and Lady Bianca. Her gospel tinged vocals add much to songs like Dirty Love, Chrissy Puked Twice (known to Zappaphiles as T!tt!es & Beer) and of course, Dinah-Moe Humm. She also adds much to What Kind Of Girl Do You Think We Are?, in the show because Flo & Eddie were originally supposed to be at this concert. 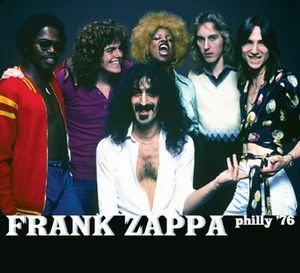 The set is weighted toward Zappa's pop side, with the only true prog moments being The Purple Lagoon, which appears as an intro and outro to the concert, and Manx Needs Women. But the "eyebrows" on the songs adds enough flavor to keep me happy. Excellent solos abound, by Ray White on City Of Tiny Lights, Zappa, Odin and Eddie Jobson on a very long Black Napkins (Patrick O'Hearn's solo was interrupted by some technical difficulties, and he never seems to recover during his spotlight), and Zappa again on Muffin Man. While I wouldn't recommend this as a Zappa starting point, it is an excellent addition to a collection.